Looking for the best balms, salves, and butters, one tube, tin, or tub at a time. Awhile back, I became obsessed with beauty subscription boxes and signed up for trial runs of several to check out the various offerings. One company that I found I particularly liked was Goodebox, because they focus on products that are one the more natural and organic end of the spectrum. 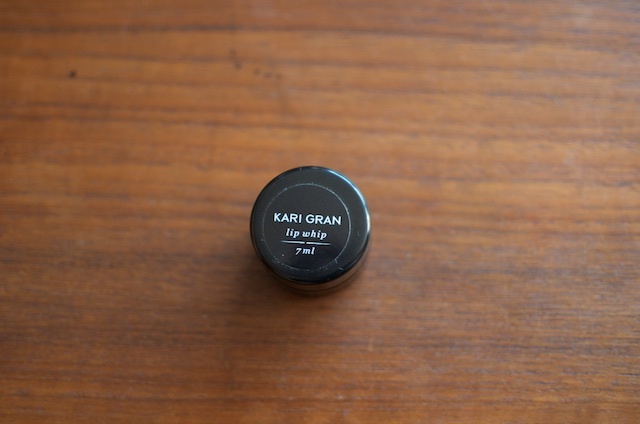 It was through one of the Goodebox shipments that I discovered the Kari Gran Lip Whip. 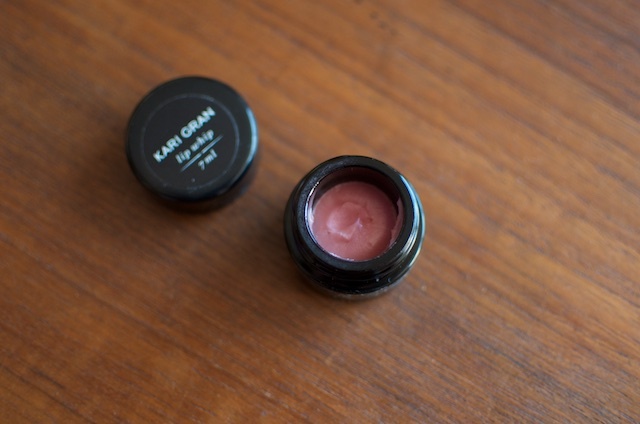 This is a really luscious lip butter that I most often wear when I want a little shine and sparkle. I have the tinted version and so it has just a bit of color, but not so much that I worry about smudges on my teeth or leaving marks on my water glass. It is made primarily from organic oils and beeswax and comes in either peppermint or cinnamon scents. And a little goes a long way. Details: Comes in a 7ml pot. Made in Seattle, WA. Contains beeswax and a variety of organic oils. Costs $15 (pricy but good). Disclosure: I got a sample of this lip balm as part of my Goodebox subscription. Oooooohhh. This one seems neat.